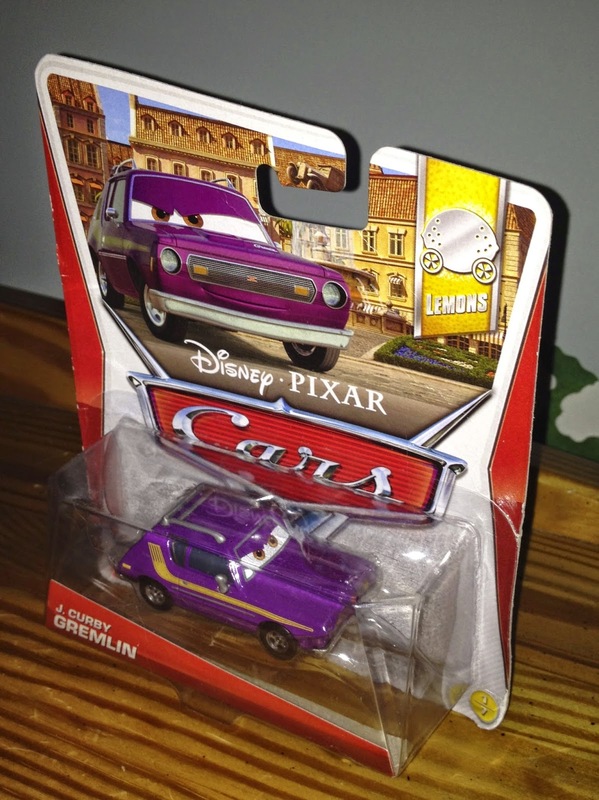 Here is the Mattel 1:55 scale diecast release of J. Curby Gremlin from Cars 2! He was available last year in the 2013 series (#1/7 of the "Lemons" sub-line). In the film, J Curby is the head of the Gremlin family who works for Professor Z; he is seen during the big lemons meeting at the Porto Corsa casino and makes several appearances after that during some of the film's final scenes. J. Curby isn't available in stores anymore, but he still can be easily found online (such as on eBay or Amazon). Good luck on the hunt if you're still trying to tack this one down!